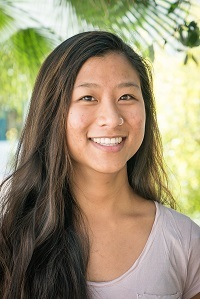 Nha Vu is currently completing her final year of the MSW program at San Diego State University. Her previous experience includes working with older adults at an Adult Day Health Care and working with low-income, homeless, or formerly homeless clients living with HIV/AIDS as a money management caseworker. During her first-year internship, she gained valuable experience working with adolescents and their families at SAY San Diego, where she provided case management and counseling throughout clients’ first-time involvement with the juvenile justice system. As a recipient of the HRSA GWEP Alzheimer’s MSW Stipend program, Nha is excited to intern with Southern Caregiver Resource Center (SCRC), an organization that provides services to family caregivers who are caring for adults living with cognitive impairment. As a family consultant, she will be conducting client intakes and assessments, providing resources, and ongoing support, and co-facilitating caregiver support groups. Nha is grateful for this opportunity and looks forward to the year ahead!